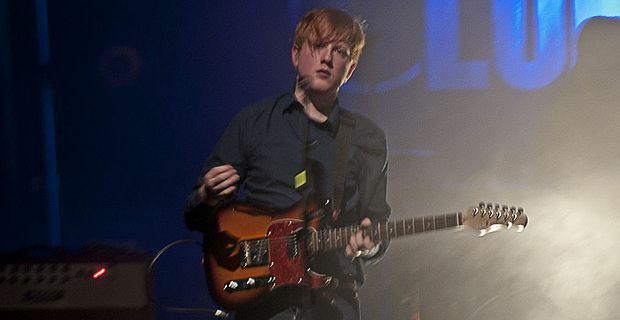 Northern Ireland band Two Door Cinema Club have some friends in high places. Rumours that President Barack Obama is a fan may have been exaggerated though. Several magazines and websites reported that an upcoming gig in Washington DC had sold out thanks to a block booking from Obama and his entourage of friends, family and Secret Service men. Some reports even included quotes from the band expressing their gratification. It turns out that the rumours had been a case of bloggers adding two and two and making five. Although Obama was reported to have the band’s music on his iPod, the show was sold out because of the band’s burgeoning popularity rather than Presidential interest. "I saw it in a magazine and I thought, 'That's fine. Just one magazine's written about it'," the band’s frontman Alex Trimble told the BBC. "Then in the past few days it's been everywhere. It's complete lies." The myth is all part of multiplying interest in the band, whose profile was helped by their involvement in the Olympics opening ceremony, where they sang while seven young athletes lit the Olympic cauldron. "The thing with the Olympics was that it was so huge," Trimble said, "such a massive honour and such a big thing to be part of it didn't really feel real. I didn't feel like I was part of it. But a lot did come after that performance and so many more people are interested in me and in our band, which is amazing." Their second album, Beacon, is released on September 3.